I was just wondering how you are all doing? 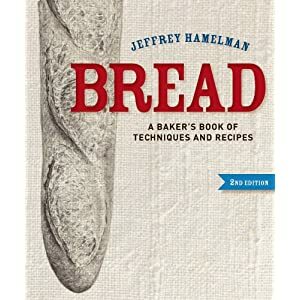 I am currently baking with locally grown and milled flour which I really love, and Jeffrey Hamelman's Vermont with extra grains has become my go to sourdough recipe for home use. I noticed that there is a brand new updated version of the book coming out soon. I am wondering how updated it is going to be and whether the format of the recipes will have changed, would love to have a version with a gram based home user column. Has anyone seen the new issue yet? The book doesn't come out until October sometime, Jeffrey said he'll send me a copy when he gets his promo copies (which is good because my old copy is literally falling apart). I will be able to let you know what's new and updated (or not) when I get mine. Amazon is saying November 20. Looking at their ad, it appears to be about 64 pages longer. I attended his workshop on rye breads last weekend and asked about the new edition. He said there are about 40 new recipes, that a number of old recipes have been tweaked, and that some of the science had been updated. Amazon has pushed back the delivery date to December 20. It looks like the release date is now Dec. 10th. Woohoo! Less than a week away! http://amzn.to/R5c4iu - for the Canucks amongst us. Thanks Sloan, I have a copy on order from Amazon UK. I think we are due to get them here at the end of the month. Your list is tantalising me... thank you!